Dr. Gallus and Dr. Douglas discuss the importance of proper training and using a surgeon that is certified by the American Board of Plastic Surgery. We’re here today to talk to you about why training matters with regards to board certification. It’s best to visit a board-certified plastic surgeon to achieve your aesthetic goals and ensure patient safety. Proper training and technique matter. The words “cosmetic surgery” in a board certification is not legitimate, nor is it recognized by the American Board of Medical Specialties. Look for a surgeon certified by the American Board of Plastic Surgery. Spend a few minutes looking at your surgeon’s credentials before spending a lifetime looking at their work. 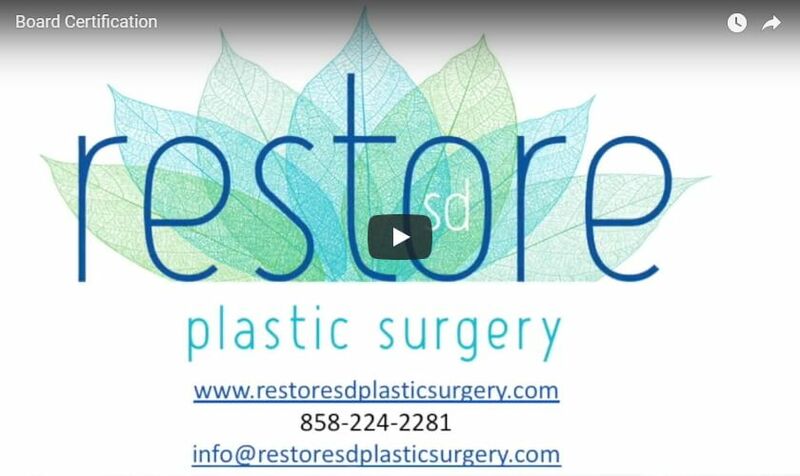 Come see us at Restore SD Plastic Surgery.